Mary Alice Dorrance Malone 17.7%, Bennett Dorrance 15.4%, van Beuren 8.6%, The Vanguard Group 6.6%, BlackRock Institutional Trust 3.7%. 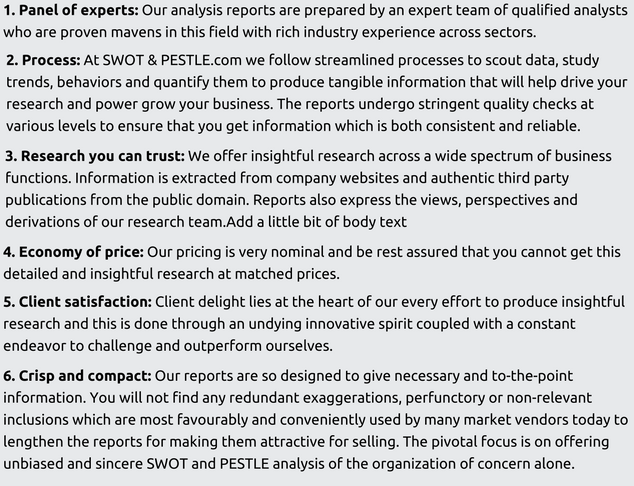 The SWOT analysis of Campbell Soup is presented below in a nutshell. 1. Leading health and well-being food company with several entrenched, well-known brands: Real food has become a non- negotiable demand by consumers and Campbell’s is doing its best to fulfil the comsumers’ needs. It provides nearly 15 billion servings of vegetables and more than 2.4 million tons of whole grains to the consumers annually and the organic portfolio of Campbell’s come under top 10 brands of the world. Since the consumers are now more aware of the ingredients, essentially bringing in more organic texture will help Campbell’s in near future. 2. Pioneer in market research and analysis: Campbell’s has invested a lot in understanding its customers by studying granular details. Such clarity about customer’s preferences has helped them immensely to make alterations accordingly. Through eclectic researches, they understood that the customers give utmost priority to transparency in the process. Recently Campbell’s soup detailed its plans to strengthen the business through imperatives like increasing the transparency and sustainability, building digital capabilities, expanding the market in developing countries and consistently diversifying the company’s pprtfolio. Research is one of the most important factors in today's time and Campbell’s leverages it efficiently. 3. Focus on simple and healthy meals: Campbell’s well understands the customer's mindset and that healthy beverage, baked snacks and simple meals are the needs of the present market. That is the reason that Denise Morrison, the president and CEO of Campbell’s recently outlined Campbell’s key success factors as driving sales growth in healthy beverages and baked snacks through increased innovation and superior wellness with an added component of simplicity. This has been objective of Campbell’s for quite some time now and it has consistently helped the company to drive sales and increase business. The PESTLE analysis of Campbell Soup is presented below in a nutshell. 2. Eclectic trade association activities. 1. Political contributions for public policy influencing: Campbell’s makes a limited number of political contributions as part of its engagements in public policy matter. However, as per the regulations, it is not allowed to make any such contribution outside the USA. Inside the USA, Campbell’s does not make contributions to 527 organizations that are not principal campaign committees. It makes contributions to U.S. congressional candidates who share the company’s views on public policy issues. 2. Eclectic trade association activities: Campbell’s is a member of various manufacturing and food trade organizations. Campbell supports such trade organizations by payment of annual fees based on revenue out of sales in the USA. Majority of these participate in lobbying activities and operate their own political action committees. Campbell’s makes contributions to the parties that support bilateral and multilateral free trade agreements and also those that reduce tariff and non-tariff trade barriers for Campbell’s products. 1. Efficient participation in technological advancements: After uncovering the information that only 18 percent of the employees at Campbell’s think that the communications happen at right time, Kristin Dennis, the internal communication head understood the gap properly and tried to connect them through a virtual platform. Since most of the employees are already present on the Facebook, workplace by Facebook was the platform that was finally chosen in order to communicate efficiently and timely. Campbell’s has always been technology aware company wherein it uses different kinds of technologies to bring efficiency in the processes. The remaining section under "Technological" is available only in the 'Complete Report' on purchase. Bunge, ConAgra, Unilever, Kellogs, General Mills, Ingredion, J.M. Smucker. Campbell's, Erasco, Bolthouse Farms, Pepperidge Farm, Arnott's Biscuits, Pace, StockPot, V8, Liebig, Royco. Simple meals Baked snacks Health beverage. 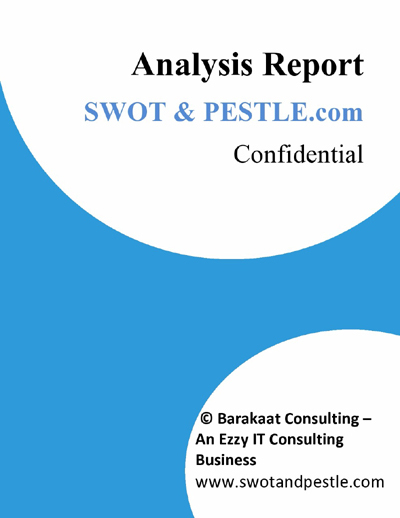 Campbell SWOT and PESTLE analysis has been conducted by Sonal Yadav and reviewed by senior analysts from Barakaat Consulting. 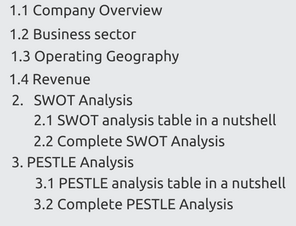 Copyright of Campbell SWOT and PESTLE Analysis is the property of Barakaat Consulting. Please refer to the Terms and Conditions and Disclaimer for usage guidelines.